Although it was made 22 years ago, Sleepless In Seattle will forever remain a rom-com classic. Meg Ryan and Tom Hanks are one of this genre’s most beloved on-screen couples, and whilst modern day love stories are becoming popular; there is something magical about this film that stands the test of time even today. Sleepless In Seattle, directed by the amazing Nora Ephron; follows the story of widower Samuel Baldwin and his son Jonah who have recently moved to Seattle, still dealing with their loss months later. After Jonah calls a radio talk show on Christmas Eve to try to find a wife for his dad, women across America fall for ‘Sleepless in Seattle’, including Annie, a journalist who lives in Baltimore. Annie writes to Samuel asking that he meet her at the top of the Empire State Building on Valentine’s Day, (even though she is engaged to another man named Walter). With some intervention by son Jonah, Samuel and Annie finally meet on the observation deck of the Empire State Building, ensuring that there will be no more sleepless nights for anyone. As a huge fan of Sleepless In Seattle, and a lover of tracking down my favourite movie locations and seeing them in the flesh; I have accumulated many memorable experiences in various cities across the United States. This film truly used some beautiful locations that can be found in Baltimore, New York City and of course Seattle; so I made sure to see my favourite ones whilst traveling through these cities over the past few years. So what can you see when you’re on the East Coast of the USA? The apartment Annie lives in with her fiancé Walter is so charming and very Baltimore in style and architecture. 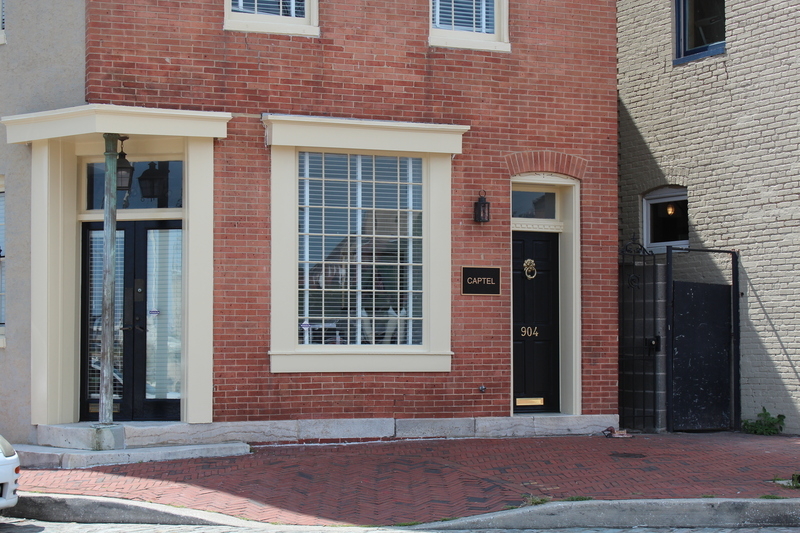 It is located in the Fells Point area of Baltimore, which is right on the water. Many locations take place right here, from the moment the film opens when Annie and Walter leave for the Christmas holidays, to another with Becky, Annie’s best friend heading inside for a visit. 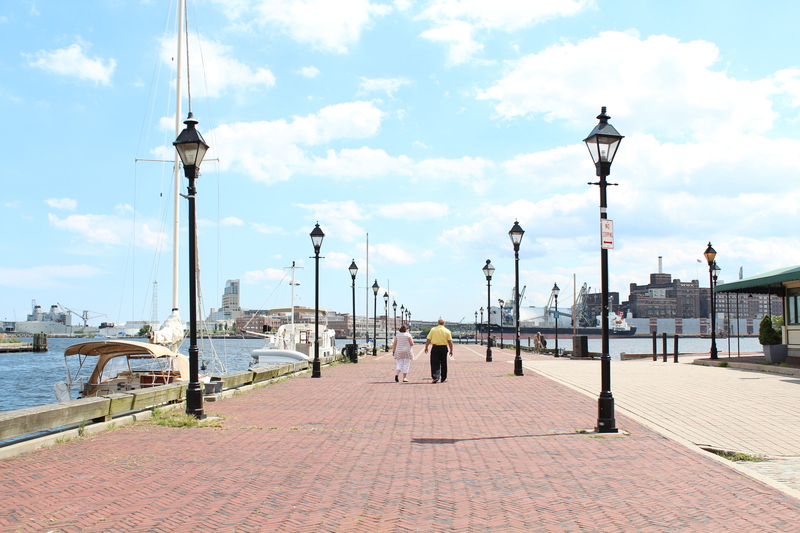 This location is in one of the loveliest areas of Baltimore with a pier walk way right out front, cobblestone streets and a huge square opposite which sits on Thames St, full of cute stores and restaurants. The Admiral’s Cup Restaurant sits on the corner of Broadway and Thames as well, so you can’t miss finding this location. Across from Annie’s house, is a brick pier which also features in the film. It looks very much the same as it did in the film, complete with the many black lamp posts situated along it. It is actually really lovely to walk along here any time of day. Annie walks along this pier and sits on a park bench at the end of it one night; as she struggles with what to do about her feelings for ‘Sleepless in Seattle’, and whether she really wants to become Walter’s wife. Mount Vernon is a lovely area. 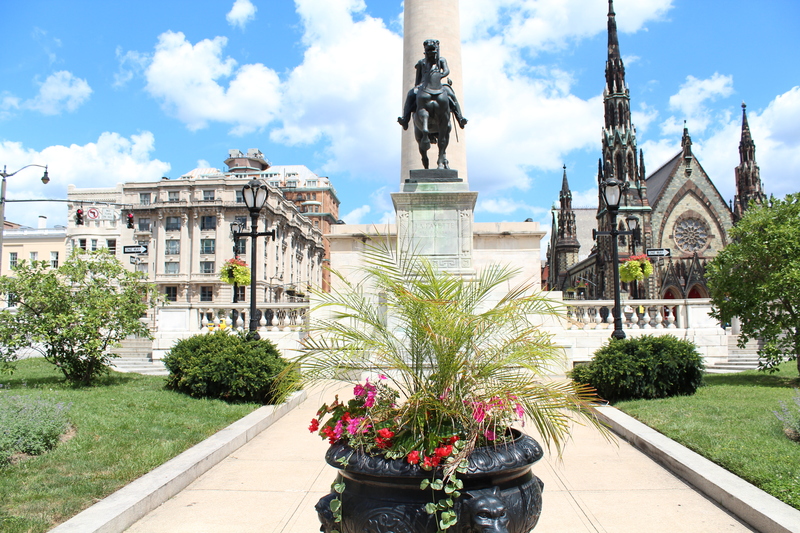 And on a sunny day it is truly spectacular, especially with the Washington Monument in the distance. This location is featured in the days after Becky and Annie listened to ‘Sleepless in Seattle’ on the radio, and they have a conversation about him whilst walking down the stairs (on the right hand side) pictured here. 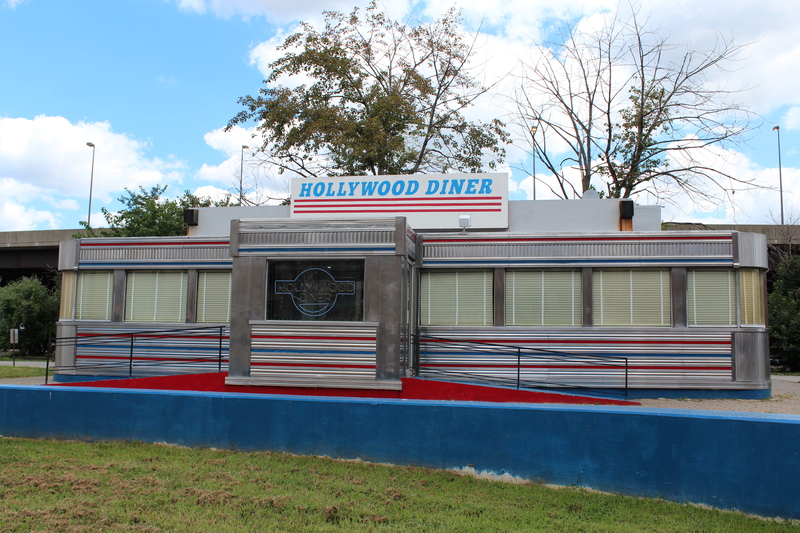 This diner was part of a memorable scene in the film, as we hear from the many women aside from Annie talking about how ‘Sleepless in Seattle’ is quite the catch, as they listen to him on the radio on Christmas Eve. The Plaza Hotel has also been featured in many things over the years and why wouldn’t it be? 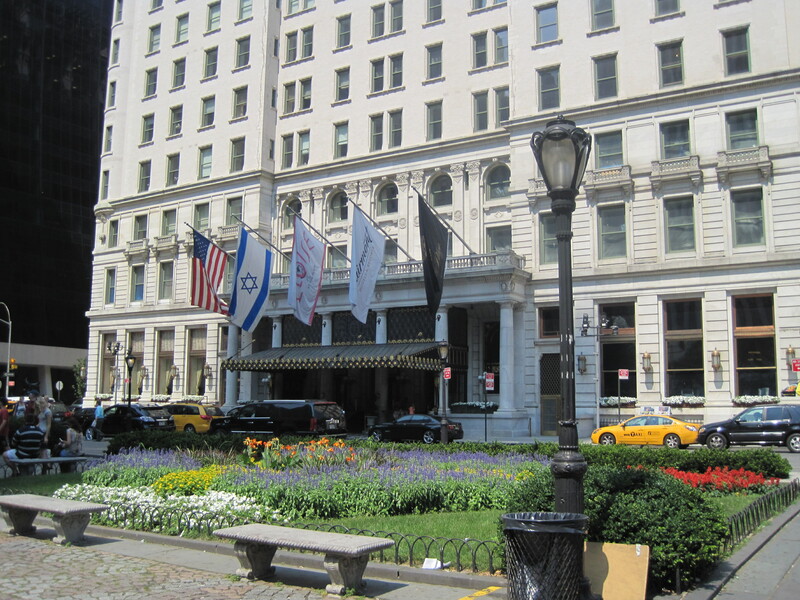 This hotel is one of the most well-known landmarks in the city, sitting right on the entrance of Central Park on 59th. In the film, Annie reunites with Walter, as they prepare to have their romantic Valentine’s Day together and is seen entering the hotel at this entrance. 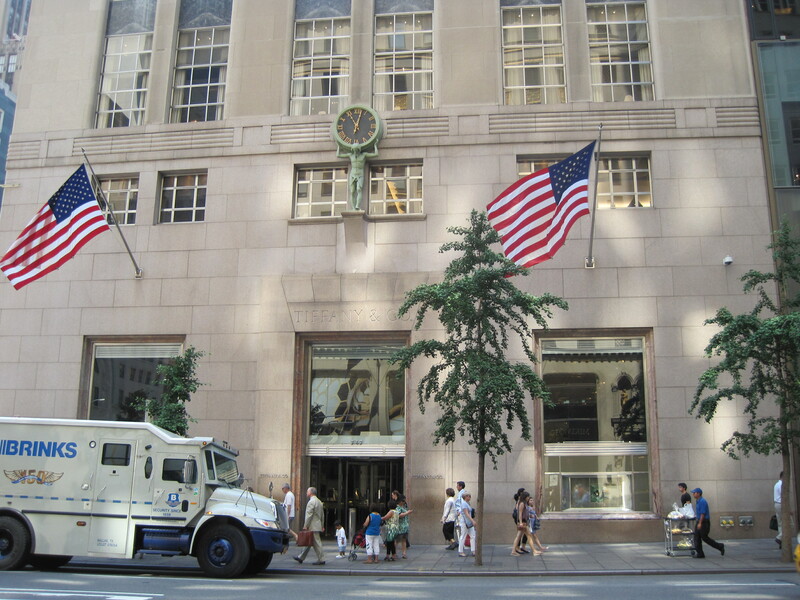 Tiffany’s has been the setting for many film and tv locations over the years, so it is little wonder why Tiffany’s was chosen as a location for this film. In the scene, Walter and Annie are inside the store, and Walter presents Annie with his Mother’s antique ring in a Tiffany’s box. They are already engaged, but since it is Valentine’s Day, he gives her this ring to wear. Ever since ‘An Affair To Remember’, The Empire State Building has always been surrounded by romance. But, ‘Sleepless In Seattle’ bought this into the modern day romance by having its final scene set right here. Whilst the real Empire State Building Observation Deck wasn’t used in the actual film; a re-creation of a slightly larger Observation Deck was used. 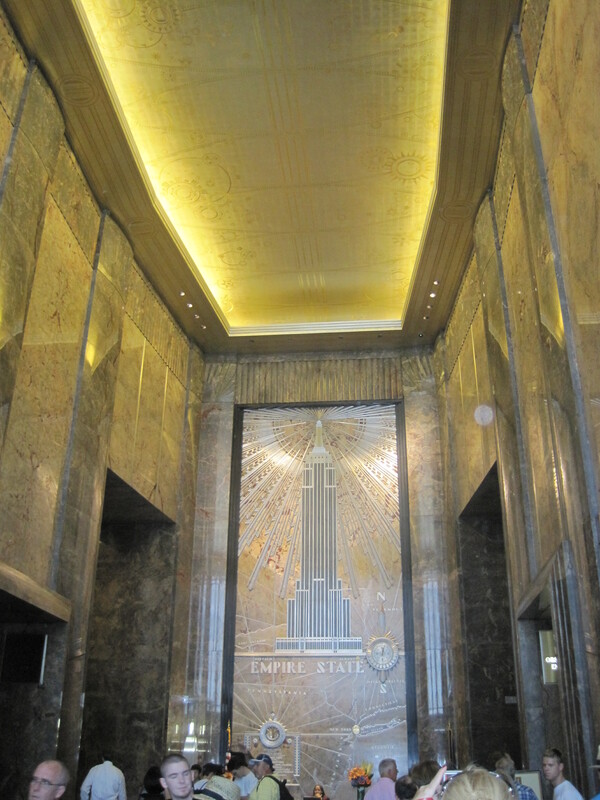 However, the lobby and entrance of the real Empire State Building was used in the film when the characters arrive there. But does it even really matter that the real deck wasn’t used? No. Because anytime you go up to the Observation Deck, you think of that memorable moment when Annie and Samuel (and Jonah) met and the rest was history. Look out for Part 2, featuring the many locations featured in Seattle, which are some really lovely places for fans and tourists to see when visiting the city.